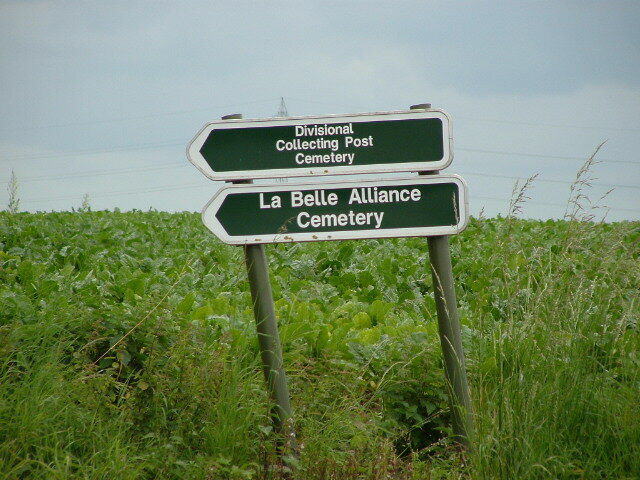 Divisional Collecting Post Cemetery & Extension, as seen from the grass path leading to La Belle Alliance Cemetery. 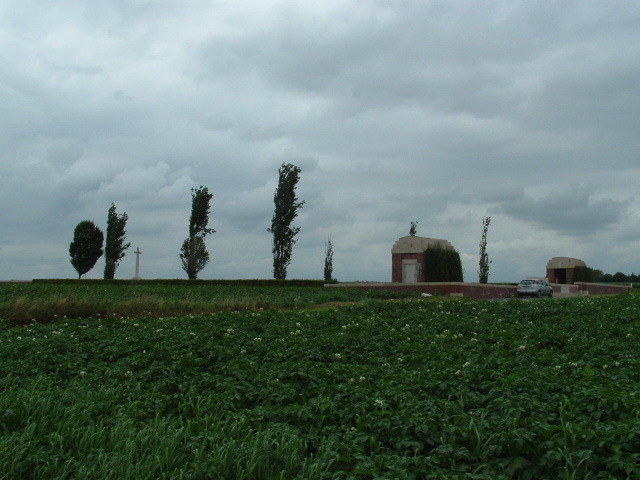 View from the road, looking over the southern wall of the cemetery at Lutyen’s massive Stone of Remembrance. 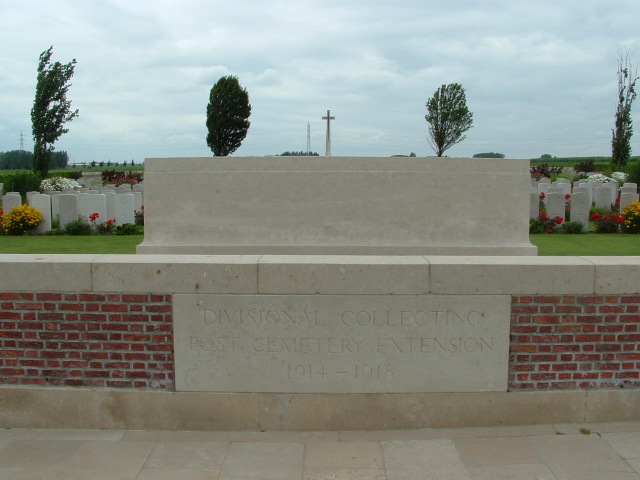 Divisional Collecting Post Cemetery was begun in August 1917 during the Third Battle of Ypres, and continued in use until January 1918, by which time 86 burials had been made here. 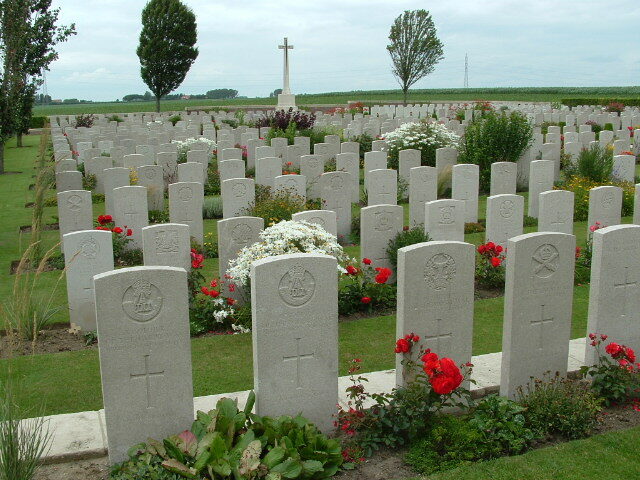 The Extension came in to being a few years after the war ended, when graves brought here from the surrounding battlefields and small battlefield cemeteries increased the numbers to 765, more than 500 of whom are unidentified. *with the exception of Plot II Row A, the first row in the plot, which is out of picture to the right. 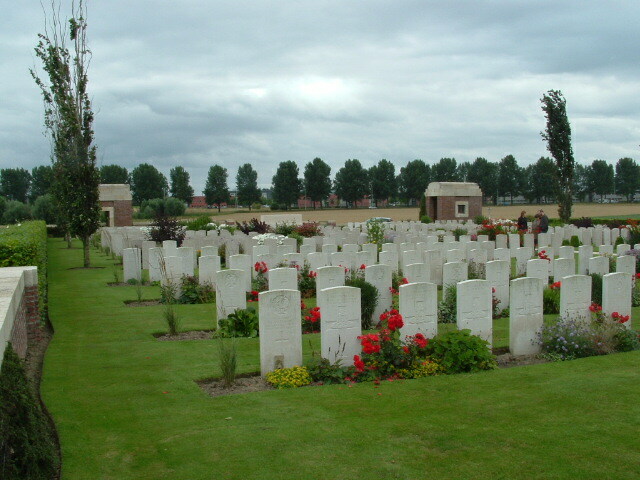 View from the north east corner of the cemetery looking south across Plot I. 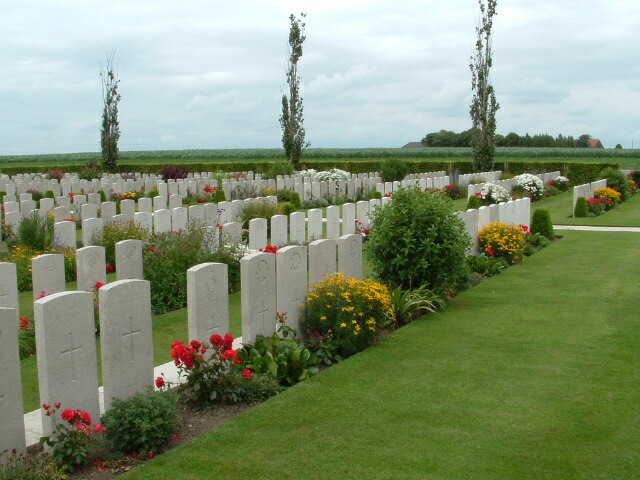 The first four rows of headstones nearest the camera, which include the graves of thirty six artillerymen, are the burials of the original cemetery. 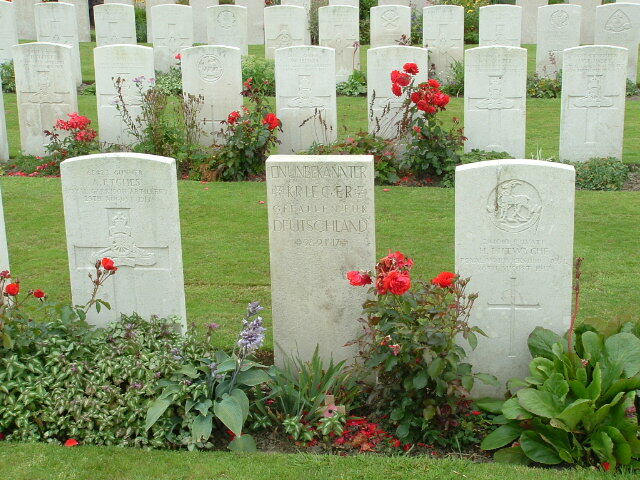 AN UNKNOWN SOLDIER WHO FELL FOR GERMANY 28/09/1917? 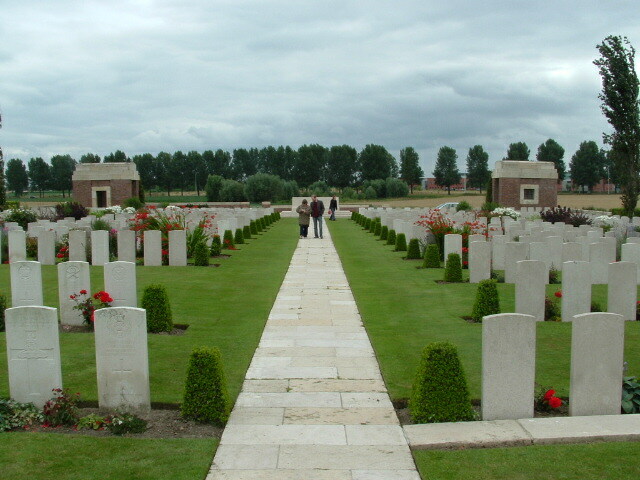 Looking north west across Plot II towards the Cross. La Belle Alliance Cemetery, photographed over the western wall of the cemetery from the edge of Plot II. Two views looking across the whole cemetery from the south west corner (above & below). Thanks, but we’re going the other way. 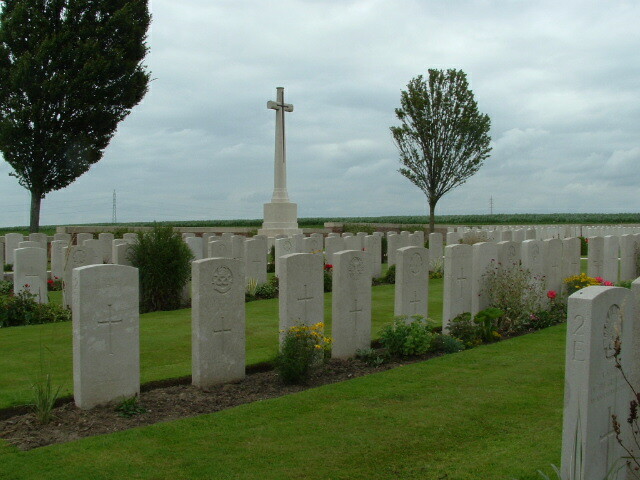 New Irish Farm Cemetery, is just round the corner. 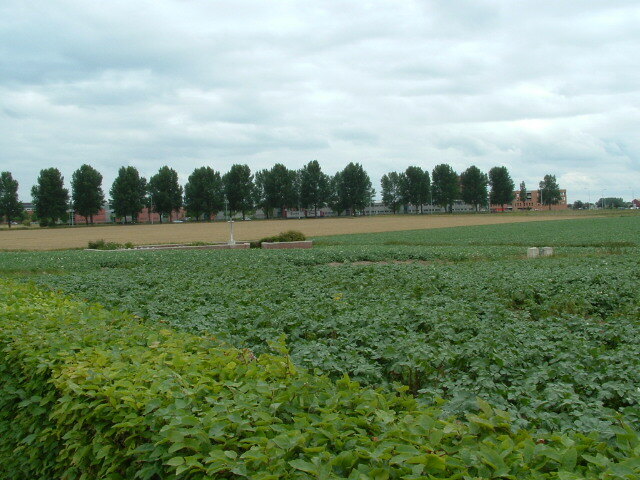 This entry was posted in St. Jean, The Road to Passchendaele - Third Ypres 1917. Bookmark the permalink. 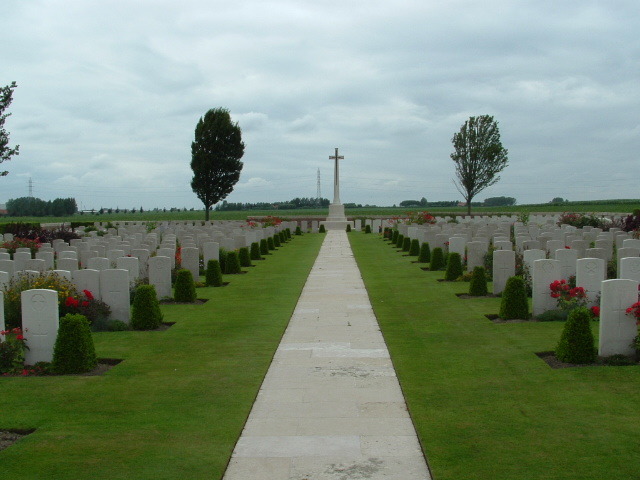 November 7, 2011 at 8:08 amIn the video of the Calgary Highlanders at the Menin Gate Memorial you will notice Sgt. (Ret) Russell (at the back of the urmnofied Highlanders). He has done a lot of work with the Airdrie Army Cadets over the years and most of you will have been shown around the Military Museums by him.After this Calgary Highlanders battlefield tour, he literally went straight from the airport to the Airdrie Army Cadets ACR.